Gorgeous wedding flowers create a stunning atmosphere at your ceremony. Find a floral specialist that can provide you with flower arrangements and accent pieces that will take your breath away. 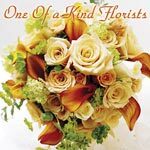 Compare a few florists to get the best of service and creativity, as well as price.� Flower experts listed below can give you what you deserve. With one of the most recognized brands in gift retailing, 1-800-FLOWERS.COM� provides a broad range of thoughtful gifts - including flowers, plants, gift baskets and other unique gifts - to customers around the world via: the Internet; by phone 24 hours a day, seven days a week; or by visiting one of its Company-operated or franchised stores. 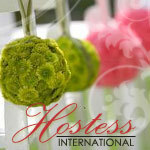 Hostess International is not just a renowned party rentals headquarters, but a fountain of event planning resources and services, including event planning, floral design, gifts and favors. Creativity and innovation is their specialty. Well known as the wedding center of Boro Park, One Of A Kind Florists has provided floral decor for thousands of weddings, Tennoyim, and many other simchos. Visit us and we will show how we can brighten your Simchah! While every photographer claims to deliver art with a smile, we deliver breathtaking album design and full resolution files at no extra charge. 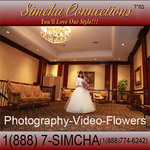 In addition we also provide beautiful floral decoration for your simcha. Package both and receive the best of both worlds as well as an upgrade of your album to a gigantic 12X12 fully designed 50 page album at no extra cost. Oh, and all the same art with a smile that everyone else promises too. See it by yourself. Mimulo - An original twist to ordinary flowers. The focus at Mimulo is merging the old with the new harmoniously, kind of like how grandma's old necklace looks so amazing with a new wedding dress. 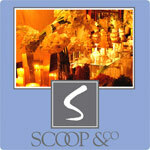 Event receptions come in many styles. From a banquet hall, to an elegant hotel ballroom, to a unique outdoor setting, our floral event designers will create a magical atmosphere for your wedding ceremony and reception. 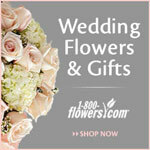 For your perfect wedding flowers - it's Floral Creations! With our team of creative designers you will be delighted and amazed by our beautiful work and be treated with the most wonderful service. 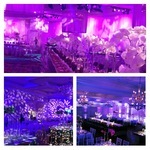 Chic and Contemporary wedding florals. Blossoms Floral Design is a high-end floral boutique distinguished for our innovative style and cutting edge design. Step into Blossoms for a high-end floral arrangement of fresh flowers. Elegant, tasteful and always fresh, Orchid Floral Design creates custom flower arrangements for engagements, weddings, and any other simchah. Mali's Flower Market will take care of all your wedding flower arrangements. In addition to our fresh flower selection, we stock the largest silk selection in Monsey at guaranteed best prices. We also rent chuppahs, arches, and props.